We don't know which outfit is our favorite! 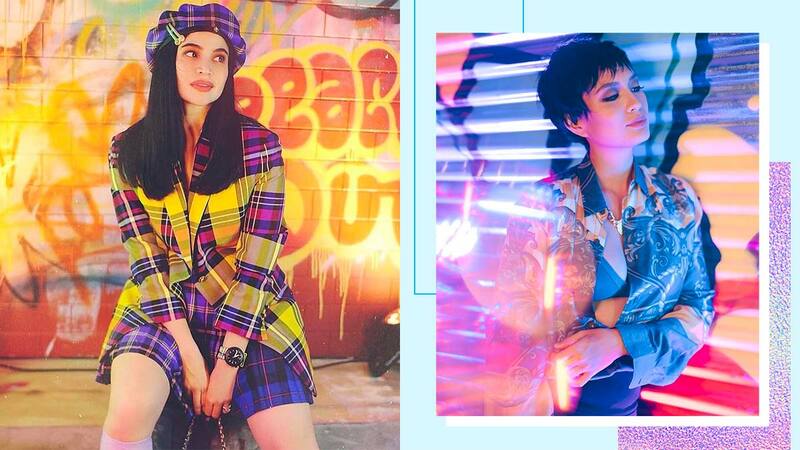 Anne Curtis herself showed up in a tartan wool Versace blazer that would make Cher Horowitz proud! Is it just us, or is Chie Filomeno giving off a much needed Scary Spice vibe with these animal print coordinates? Rachel Peters' old-school overalls screams 199X university chic, don't you think? We want Kylie Versoza's powder pink coat with feathers! Kaila Estrada showed a chic way to wear a belt bag and oversized shorts by pairing it with an oversized blazer! Chi Gibbs and fiance Anton Cruz brought their throwback game dressed in Neon Island. Fun fact: Neon Island designed the special merch (a fanny pack and boxy tees) for BLK's anniversary collection.